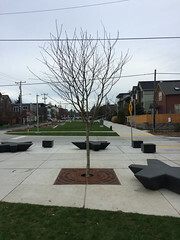 This past year, Seattle Department of Transportation kicked off a pilot program to introduce Plays Streets in Seattle. A play street closes a neighborhood street to traffic so that kids (and adults) can have more space for play and physical activity. School play streets provide additional space for recess or other special activities, like a field day. Community play streets help neighbors create more space for play during the summer or after school. The summer has been successfully kicked off and we’ve heard that a very successful community play street along NW 58th St between 11th and 14th Ave NW has started up again this week and neighbors are inviting families in the ‘hood to join them and see what it’s like. Maybe it’ll inspire you to start up your own play street! What: Come meet your neighbors, let the kids play in the street. Bicycles are welcome especially since it’s along the Greenway! According to the Play streets map, there are a few more in the neighborhood. If you’d like us to help spread the word, please contact us! Keep those Ballard Market receipts coming! A big thank-you to Windermere Ballard for saving up Ballard Market receipts for the EBCA! That big envelope of receipts you delivered to us the other day will result in a $245 donation from the Ballard Market as part of their 1% giving back to the community program! Collecting receipts where you work is a great example of how you can make a really big impact on the East Ballard Community! These funds will help us pay for upcoming community events, pay for watering/weeding of the median planters along 14th Ave NW and amenities for the future park. So, keep those Ballard market receipts coming in! It’s that easy! Start saving today to make a difference tomorrow! 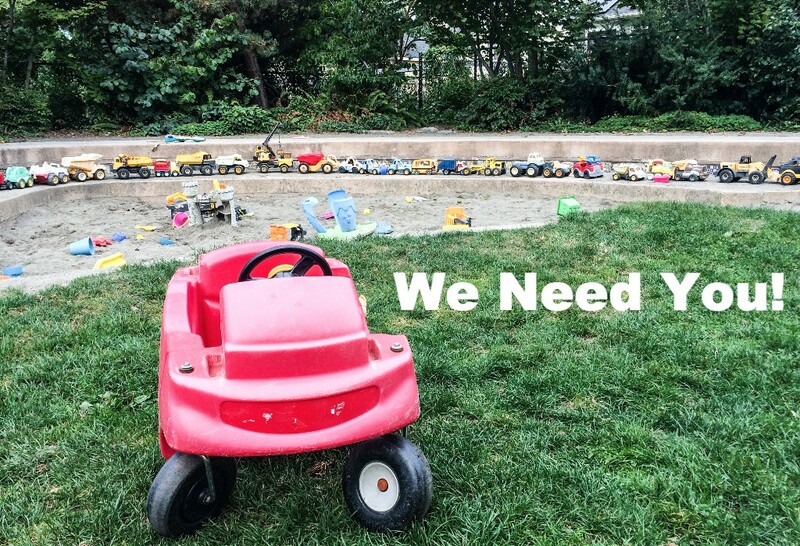 Do you have an idea for a transportation project in your community? The Neighborhood Street Fund (NSF) program pays for transportation projects identified and prioritized by the community. 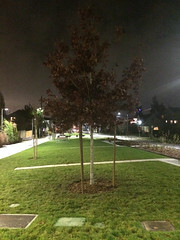 Projects range from crossing improvements to creating unique public spaces. Learn about past projects. Projects that change the number of lanes on a roadway or propose a change to traffic control (stop signs or traffic signals) must also be evaluated by SDOT for feasibility. Please visit our Frequently Asked Questions page for more details about the application process. SDOT staff will be attending District Council meetings in March to discuss the program. We encourage potential applicants to attend one of these meetings and to work with members of their District Council to develop their proposals. Once we confirm these and additional meetings, we’ll add them to our Upcoming Meetings page. In November 2015, Seattle voters passed the Levy to Move Seattle. The 9-year, $930 million levy provides funding to improve safety for all travelers, maintain our streets and bridges, and invest in reliable, affordable travel options for a growing city. The levy includes $24M to continue the Neighborhood Street Fund program over the next 9 years. Before 2016, funds for this program came from the Bridging the Gap (BTG) transportation levy, passed by voters in November 2006. What’s the timeline from start to finish? June – August 2016 SDOT conducts a high level design & cost estimate of the 65 projects selected by the neighborhood District Councils. September 2016 Each Neighborhood District Council prioritizes its own list of projects. September – October 2016 The Move Seattle Citizen Oversight Committee evaluates all proposed projects and makes funding recommendations to the Mayor & City Council. If you have questions, additional translated material, or need help with accessing the application, please contact us at NSF@seattle.gov or 206-733-9361. In response to the explosion at 85th and Greenwood yesterday, the Phinney Neighborhood Association and the PNA Business Advisory Group have come together to create an action plan. They are in contact with the City and various community members and are consolidating information as they know more. We are grateful to be part of a community that quickly steps up to help. You can make a tax-deductible donation to the fund for those affected by the explosion here. 100% of the money raised by the PNA will go directly to relief efforts. Lucky Envelope Brewing will be donating $1 from all full pours and $2 of all growler fills to the fund on Thursday, March 10 (3-9 pm), and will be accepting monetary donations for the fund for the next week. Populuxe Brewing and Stoup Brewing will be donating $1 per pint to support relief efforts. Domanico Cellars will be donating $1 for each glass and bottle they sell to help out the business that were affected. We’re sharing this recent appeal from Groundswell NW, because they are the East Ballard Community Association’s mentor and fiscal sponsor. A tax-deductible donation from you today to Groundswell NW will go toward helping neighborhood groups like us continue to thrive. Picture, for a moment, the last time you were in a Park. Maybe you were strolling through, walking your dog, taking your child to play, or seeking a peaceful spot to enjoy your morning coffee with a friend. As you think about it, you realize that parks actually play a pretty important role in your life. You Need Parks. But have you thought about how much Parks Need You ? Parks Need You to keep them clean and safe, to care for their plants and trees and bring your family and neighbors together to enjoy them. Many of the parks, open spaces and habitat in NW Seattle are cared for and loved by community groups, like Friends of Ballard Corners Park, East Ballard Community Association , Friends of Salmon Bay Natural Area, Whittier Heights Involved Neighbors , Friends of Crown Hill Glen, Friends of Sunset Hill-Shilshole Gateway , Sustainable Ballard, Friends of the Troll’s Knoll , Friends of Thyme Patch Park , Ballard Greenways , and Friends of North Beach Park . 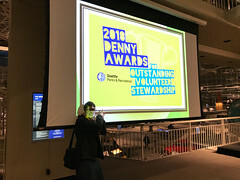 At Groundswell NW, we’re honored to serve these community groups and many more in NW Seattle by providing mentorship, awarding microgrants, providing fiscal sponsorship, and advocating for your parks at the neighborhood and city level. As much as these groups need us, We Need You! Show your support for Groundswell NW by making a year-end, tax deductible donation today. 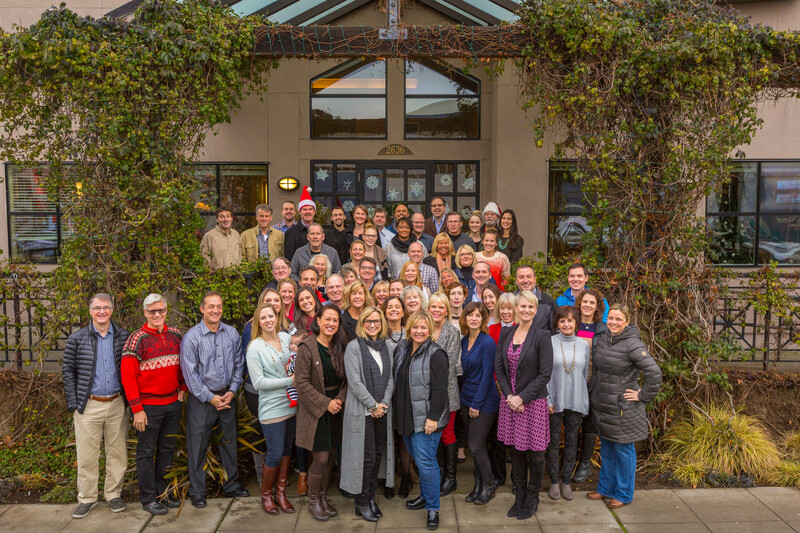 Thank you for your support, and on behalf of all of us at Groundswell NW, Happy Holidays and a Happy New Year!